December is my favourite month (also the laziest, hooray for getting out of bed not at AM); not only do I get to go over Christmas related products and do some self Christmas sale shopping, I also think of them as mini birthday presents to myself. I recently just turned a year older *silent sobs* and I know the month is flying by, and before we know it, it’s going to be 2017! I have some exciting travel plans for January, but before then – lets look at all things holiday and fun, shall we? 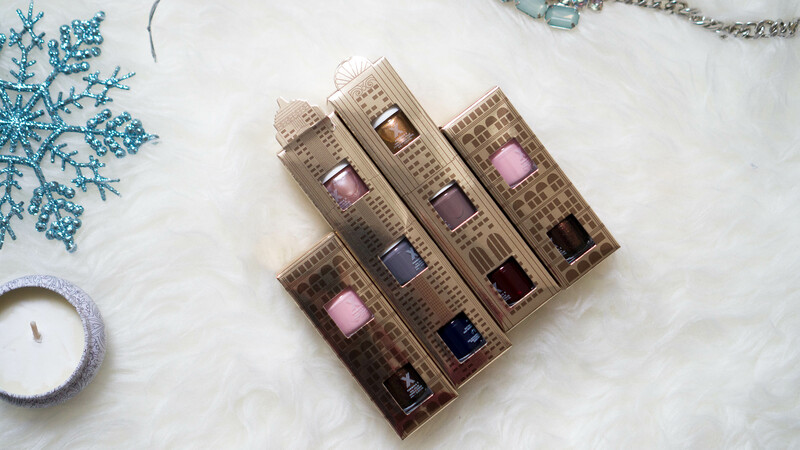 Sephora has a ton of gifts with decent value, perfect for any friend, sister, or teacher! For a personal touch, you can get the Sephora Collection The Jetsetter: Personalized Pouch ($25 CAD) with an initial (looks like most of them are already sold out online! 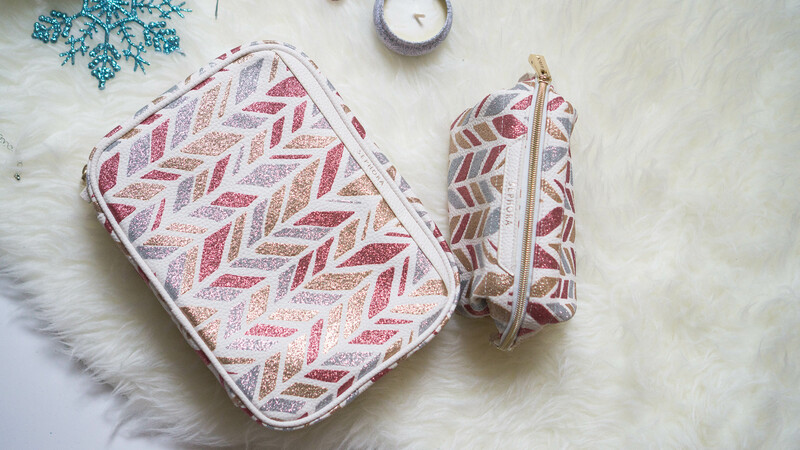 🙁 ) The pouch can hold your beauty essentials or your credit cards and phone! I like putting all my stuff in pouches now so when I switch purses I just throw bags between bags. For some travel friendly, but pretty useful bling; the Sparkle & Shine Dual Boar Brush ($19 CAD) uses 100% natural boar bristles reinforced with nylon pins and comes in a festival gold colour that makes it a nice stocking stuffer. I tend to bring mini combs when I’m travelling and this will be the perfect size for on the go. I have a full size Sephora Collection boar brush so a mini one just makes me go ‘awww.’ The Sparkle & Shine Pro Mini Airbrush #55.5 ($33 CAD) is good for those who uses makeup while running errands or something in between. I do most of my makeup in the office or in the car; this brush is great for touch ups or applying blush. The Studley Sponge Travel Case Set ($23 CAD) is a three in one product; it’s a keychain, a mesh carrying case, and you get a Perfectionist Airbrush Sponge. As much as I’d love to try out a beautyblender as I’ve heard magnificent things; I simply can’t justify throwing my money for a sponge the size of my eyeball (this is the Asian in my speaking.) Sephora’s sponges are quite decent, but then again I used to only use those white wedge sponges from Daiso! I usually stuff my sponges in a ziploc bag so this is an ideal alternative! You can detach the pom pom by the name of Studley and clip it to your handbag or keys! Overall, this is super cute and gimmicky in a fun way. And if you are already know someone who likes sponges or you are already a fan of Sephora sponges, they also have the Perfect & Cleanse sponge trio and cleanser set ($19 CAD.) What I like is the mini Solid Brush Cleaner that is included. I have purchased the $10 one before and it is so easy to use and got rid a lot of stains on my old brushes! It actually makes brush cleansing fun when you have a cleanser that works! 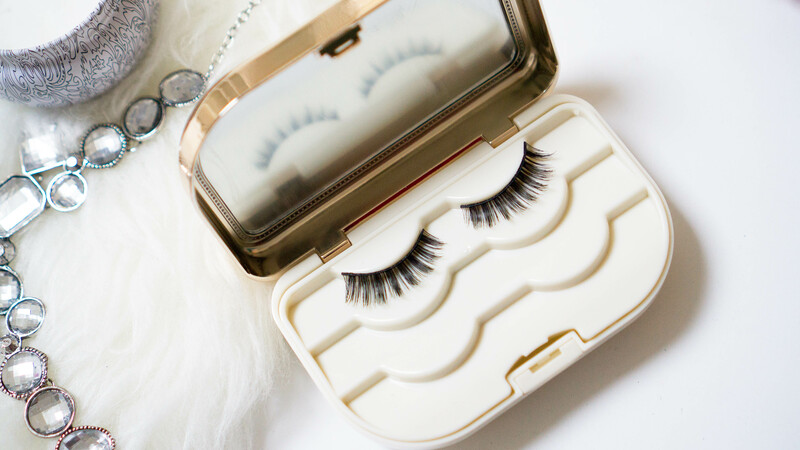 For the false eyelash junkie, the House of Lashes by Sephora Collection Holiday Gem Set (price and link to product unknown) comes with a case to store your false lashes. On the rare occasion where I wear lashes, I take them off and have nowhere to put them and I had no idea this existed. I had no idea that Sephora had a line like this until I received this in my press package. 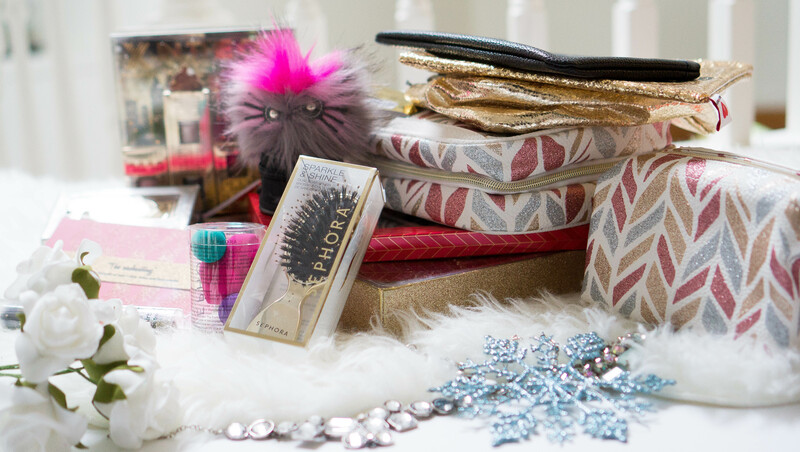 The Holiday Gem Set also comes with a pair of lashes and two lash adhesives. Formula X’s X In The City Set (price and link to product unknown) came in a plastic box but it was in the way of my photography purposes so I had to struggle to get them out…and line them up so they look like a building again. I like how these come in four individual boxes as you can split them up with your friends. It even has a “To/From” space on the back of the box! I will have to give the Sephora Collection The Enchanting Eye, Brow, and Face Palette ($20 CAD) a go sometime (perhaps in the new year when I have time to play around with the colours!) The packaging is a bit flimsy as the lid doesn’t stay up and I wish they put a mirror instead of instructions. This set comes with 11 products – six eyeshadows, two highlighters, 1 blush, and 2 brow powders. I was debating if I should take the glosses out but I kind of like how they’re all neatly aligned in the box (you will probably see a flatlay on my Instagram sometime with these lying around haphazardly everywhere.) The Kissin’ Up Gloss Set ($32 CAD on sale) is perfect for parties where you tell your guests to take one and pass it along. You get 18 glosses in one set, which is already more than the number of cousins. Last year I brought a similar set from Sephora to Hong Kong and they make AMAZING mini Christmas presents/souvenirs. The Sephora Collection Sparkle & Shine The Voyageur ($25 CAD) is a sturdy, mid sized makeup bag. If you don’t like flat makeup bags, this is great because it’s easy to shift through your products and find what you need easily. For a longer travel period, the Sephora Colection Sparkle & Shine The Weekender ($48 CAD) can store your beauty products, as well as brushes and jewelry. There is a hanger so you can hang it on whatever railing you find at a hotel bathroom which helps saves up table space. (Sometimes I am so guilty of having my junk laid out on the tiny bathroom table in the hotel. And when I have my tub of powder foundation, at least once I will spill that EVERYWHERE!) My only concern with the Sparkle & Shine bags is the gritty glitter exterior, as the glitter does fall off and lands in some dark hole and I will not be able to clean it again. I liked last year’s collection more with their rose gold/leopard pattern bags. I already own one of Sephora’s “Breakups to Makeup ” bags and have enjoyed their sayings on them and how roomy they are. 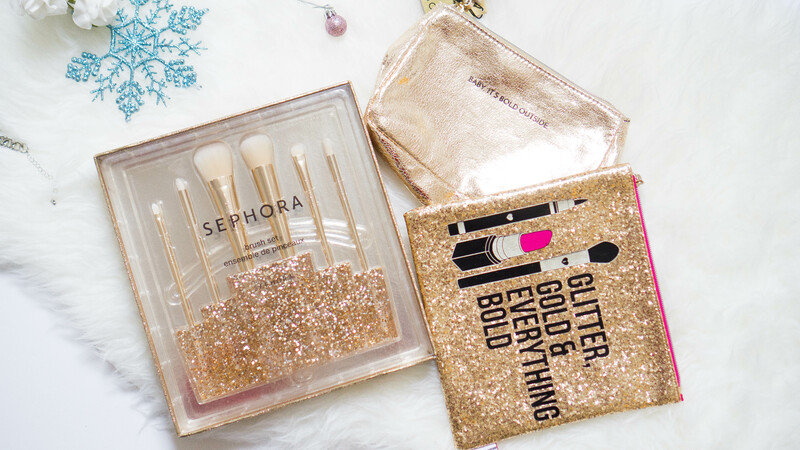 I like the vegan leather ones more but the Sephora Collection Glitter, Gold & Everything Bold Clutch ($33 CAD) is cute and bold nonetheless. The bag is a bit stiffer than the vegan leather ones but I’m glad it is coated and there’s not glitter bits being scraped off (do not want any glitter spilling in my purse when it’s carried around!) 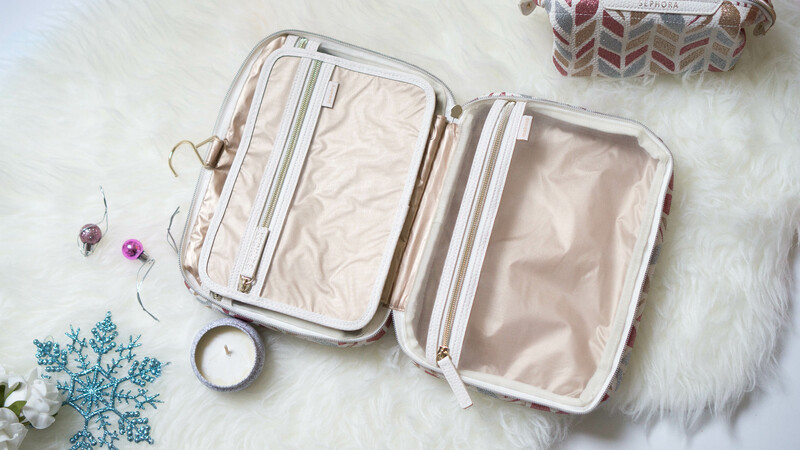 If you’re not a fan of flat makeup bags, the Sephora Collection Baby It’s Cold Outside Bag ($25 CAD) can fit chunkier items – whether its a beauty tool, toothbrush, or that one bulky thing that you think you need but you end up not using at all during your getaway. 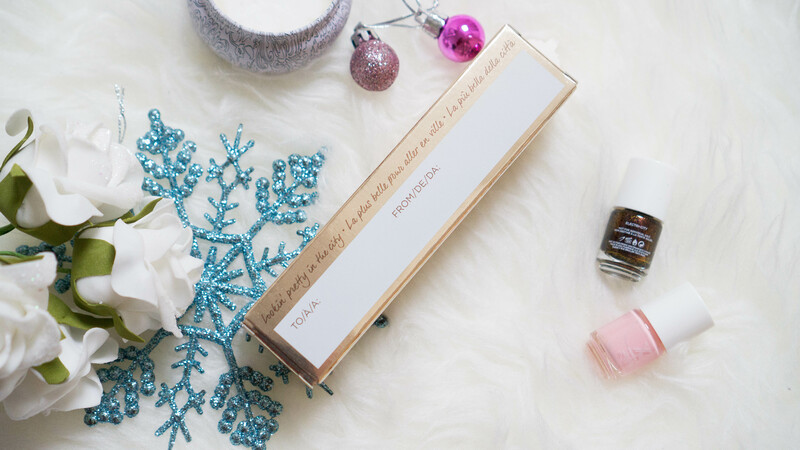 This post is way longer than I planned; and there’s still so many gifting options you can get from Sephora online or instores! I’m still debating what to spend my VIB $20 off $50 coupon on, as the things I wanted are already out of stock. #FirstWorldBeautyLoverProblems. I’m glad that a majority of Sephora Collection products are not too damanging for the wallet and they still have nice presentation. (By the way, did you know if you order Sephora online and mark it’s a gift, you get a nice pouch too?!) 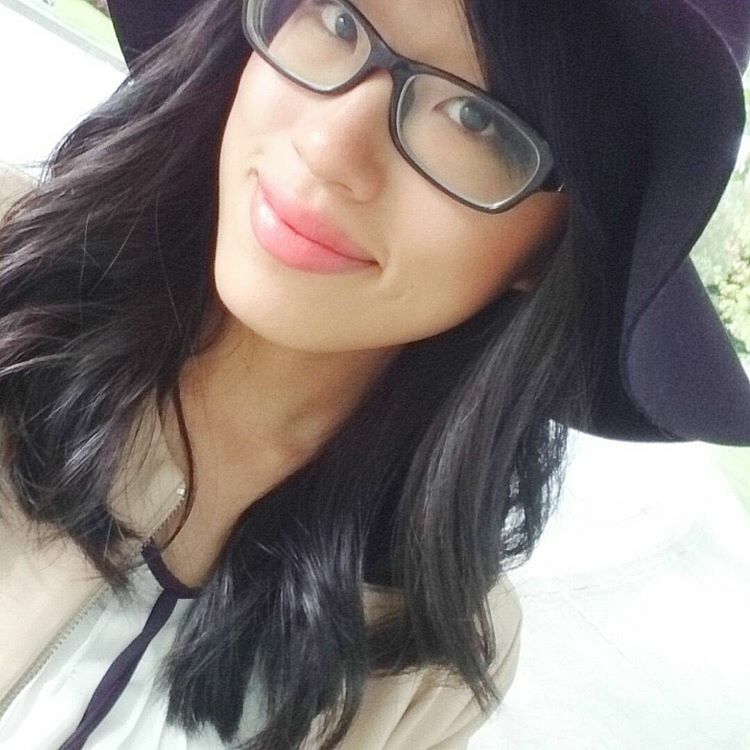 I’m back from taking off my “birthday weekend break (made that up by myself;)”I was looking back at my 2015 birthday post last year and I noted I wanted to diversify my blog; most of my posts are still beauty heavy but I’m hoping to bring more personal styles and other life-y things that I go by!